Bhagat Singh ~ Amazing ..!! A Revolutionary leader born to inspire every Indian to fight for his land is Bhagat Singh. 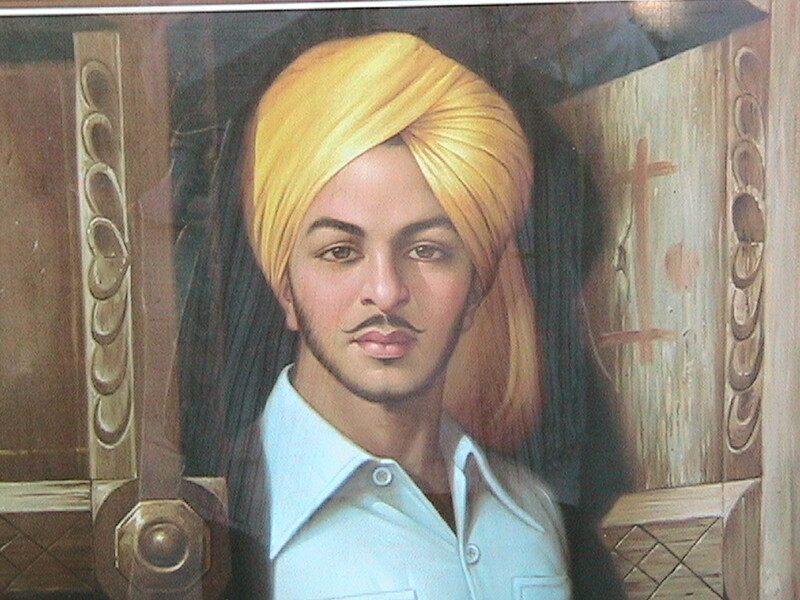 Bhagat Singh was (born on September 27, 1907- Died on March 23,1931). His father was also a revolutionary, so patriotism flowed in his blood. By the time, he completed his secondary education, Bhagat Singh knew everything about the revolutionaries of his family. He decided himself to fight for the country at the- age of thirteen and left school, joined the freedom movement. He believed that only young Indians can change the fate of India. At that time, there was a powerful anti-foreign cloth movement in the country. Bhagat Singh took part in this movement and wore only Khadi. He would collect foreign clothes and burn them. Bhagat Singh had no faith in non-violence and non-cooperation movement and believed that armed revolution was the only practical way of winning freedom. He went to Lahore and formed a group called 'Naujavan Bharat Sabha' which consisted of young Indians and was appointed its Secretary. Here he was introduced to Chandrasekhar Azad, another young revolutionary, with whom he formed a great bond. All these days he had been a hero of the Sikhs; he now became a national hero. In February 1928, the Simon Commission, headed by Sir John Simon, came to India to decide how much freedom and responsibility could be given to the people of India. But there was no Indian on the committee, so people decided to boycott it. Wherever the committee went, people protested with black flags, shouting “Simon go back”. One such procession that was lathi charged was led by Lala Lajpat Rai. A British police officer hit Lalaji on the chest. Lalaji died after some days. To average Lalaji's death, Bhagat Singh and two other revolutionaries Sukhdev and Rajguru shot dead Saunders, the police officer responsible. The three were arrested later for throwing a bomb in the Delhi Assembly Hall and sentenced to death. Bhagat Singh, Sukhdev and Rajguru were hanged a day before the appointed day on March 23rd, 1931. He has rightfully been given the title of Shaheed-e-Azam (King of Martyrs).